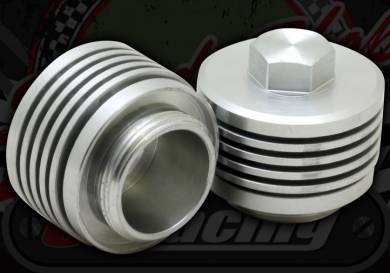 These CNC valve caps will fit allof the screw in type valve cover heads. This listing is for 2 valve caps complete with O-rings. Use a 17mm Hex to tighten or loosen. 25.0mm cap depth without Hex part. 32.5mm cap depth with Hex part. Helps reduce some of the heat from the head and they look great.